MozCamp 2012 Wrap-up: will we see YOU at the next one? 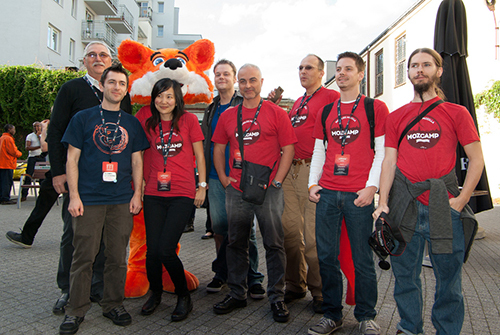 The Mozilla EU community converged in Warsaw, Poland this year amidst a Lufthansa strike and rainy weather. Luck was on our side though, as we managed to dodge flight cancellations and make up lost time from missed flights. By Saturday morning, nearly everyone had made it and the sky cleared up. This was my first MozCamp, and I felt privileged and humbled to experience first-hand the EU community’s passion and enthusiasm. I wasn’t alone: a large portion of the attendees were first-timers. One highlight for me was meeting our European AMO editors in person. 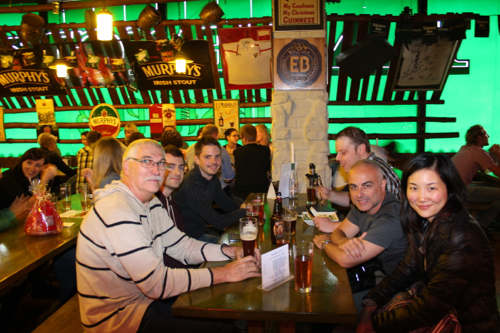 We had an informal meetup Friday evening before the welcome festivities at an Irish Pub, where we chatted and caught up over beers (which took a while to order because nobody spoke Polish except Teo). Nils, winner of our New Year’s Challenge joined us, as did Giorgio, Andreas, Teo, Kris, and Andrew. Brian, Axel, and Kent had other MozCamp commitments and couldn’t make it, but we all managed to find each other and catch up during the course of the weekend. I am possibly biased, but to me AMO editors are unsung heroes. There have been more than 3 billion downloads of add-ons on AMO, and it’s the editors who are at the front line, tirelessly ensuring they are safe to use. When people write add-ons for Firefox and ask questions about their submissions, a real-life editor answers; and chances are, that editor is a volunteer contributor. So join us, be a part of a project where people believe in the impact of their contributions, no matter how small or tedious. And maybe we’ll have a beer together, somewhere in the world. To see all the ways you can contribute to the Mozilla project, click here.